Price: Definetly a working lunch or dinner. 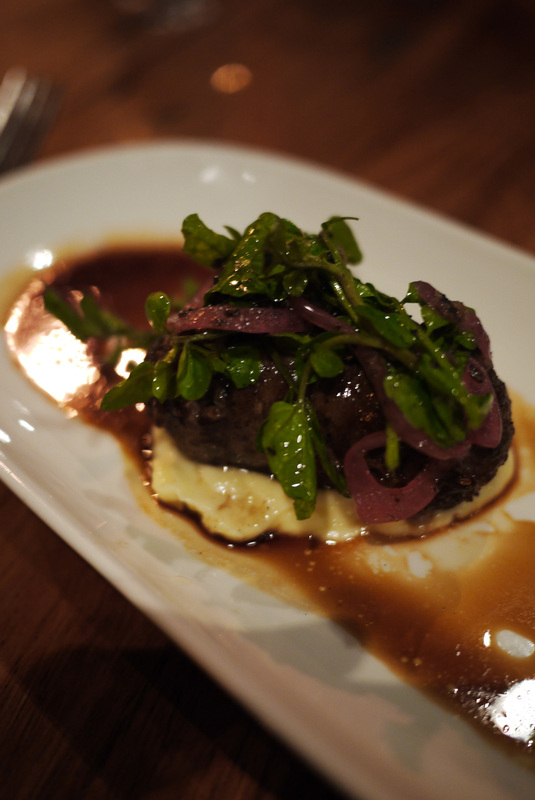 Mains average $40, so expect to pay $100 per person for dinner and drinks. As I mentioned in my previous post, last weekend I celebrated another ‘closer to 30 than 20 birthday’. As a special treat, The Brooding Architect organised a big mystery date last Friday night. His ability to keep the destination a surprise was impressive. I could not even coax it out of him when I asked him what I should wear on the mystery date. The response was simply “whatever you think will look good for a nice dinner”. (For those interested, I went with this cape in the end – I’m telling you capes are the new black this winter). Anyway, I was thrilled to end up at La Luna Bistro in North Carlton. La Luna is one of those places that I have really wanted to try ever since we moved down to Melbourne, but just never quite made it to. On arrival, after I de-caped, The Brooding Architect ordered some very civilised sun downers. I went with the new wine spritzer ($8.50), which had just been added to the menu that night – a refreshing combination of Aperol, white wine, fresh orange and soda. The Brooding Architect ordered a fancy Spanish beer – Alhambra ’1925′ ($9.50). the set menu actually represents very good value. Plus it includes booze. Really good booze. The first course comprised of what I describe as a tasty ‘small bite’ to give the appetite a kick start, as well as a share plate of house cured meats. 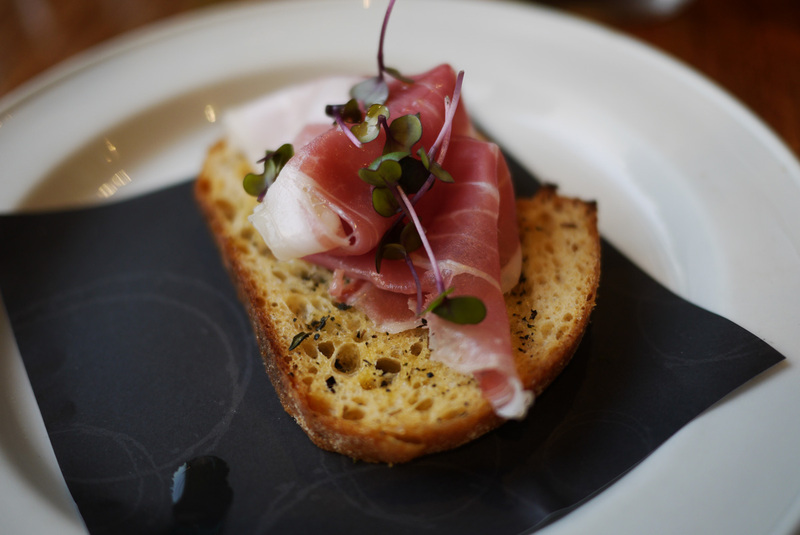 The ‘small bite’ was house made Wessex Saddleback Prosciutto, served on a fresh baked herb-y crostini, drizzled with extra virgin olive oil. The Prosciutto was incredible. It was rich and flavoursome, literally melting in your mouth. The share plate was an impressive looking dish of hand cured salami, pickles, olives, extra virgin olive oil and organic bread (a mix of more crostini and some soft, fresh seeded bread). As mentioned already, all of the salami is produced and cured on the premises. The salami selection included Pancetta, Amici, Lombardo, Veneto, as some stand out Brescola, which had been infused with red wine, resulting in a deep, dark, red colour and White Prosciutto (otherwise known as Lardo, which I know is just a fancy word for pork fat, but in such a thin, melt on the tongue, sliver it is wonderful. 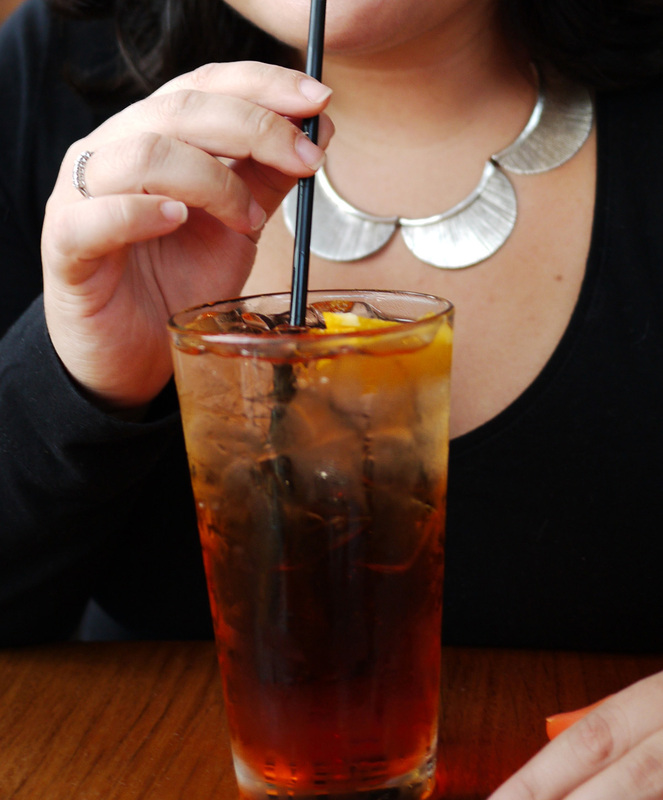 Plus, calories don’t count on your birthday). 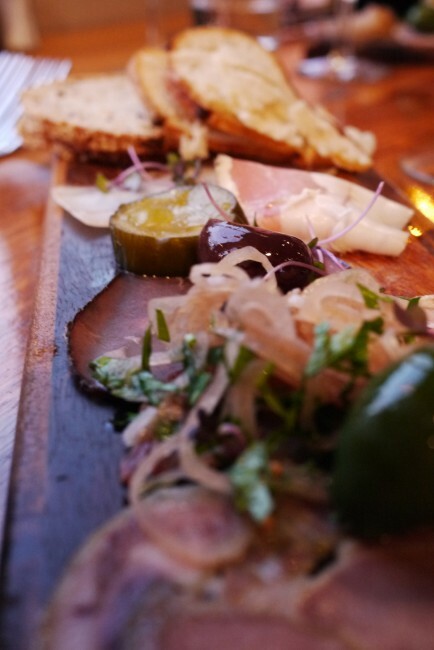 I also found the pickles which came on the side of the platter were incredible – tangy, crunchy and fresh. A terrific contrast to the rich flavour of the meats. The first course was served with a fragrant, dry sherry. I tend to think of sherry as more of a dessert wine, however this suprisingly, dry sherry cut through the richness of the cured meats perfectly. The second course is beautifully described on the menu as “Local Figs (stolen from Mum’s tree), goats cheese, almonds and cress”. This was The Brooding Architect’s favourite course of the night. 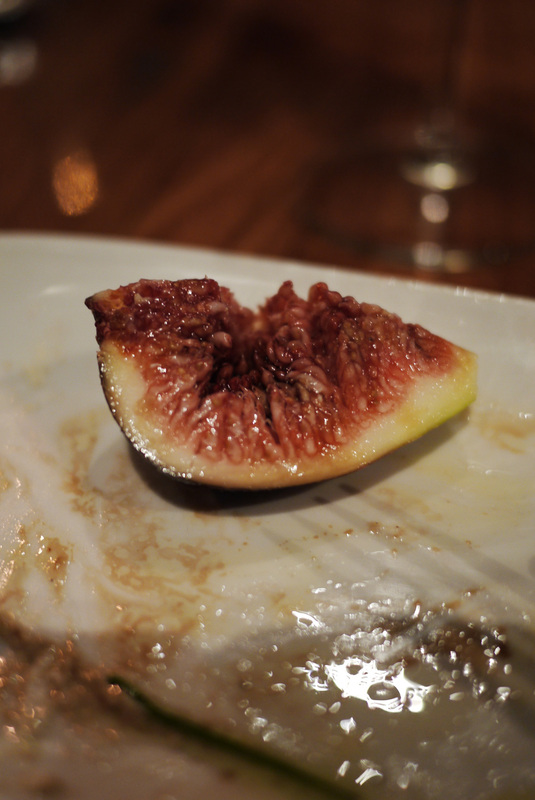 It was so good that I even forgot to take a photo until there was a sole fig remaining on my plate. The Brooding Architect calls figs the ultimate ‘premium fruit’ (long time readers will recall that The Brooding Architect only eats premium fruits – apples and oranges simply don’t cut it for him). The figs used in this dish certainly fit the ‘premium’ bill – ﻿they were plump, sweet and delicious. The goats cheese was smooth and tangy, the water cress had a lovely peppery flavour and the almonds had been roasted to make them taste even nuttier (if you know what I mean?). Combined these flavours were a magical – each bite was that perfect combination of sweet and sharp, with the crisp salad leaves and almonds adding that wonderful ‘crunch factor’. Simple dishes executed perfectly never cease to impress me. The fig salad was matched with a local Kooyong Estate Pinot Gris, which is produced down at the Mornington Peninsula. This wine was young, vibrant and fragrant, with big tasting notes of sweet fruit (think rockmelon or lychee). It really enhanced the sweetness of the figs. The third course was Pickled Octopus served with a Greek salad. The Pickled Octopus was my favourite dish of the night. I am not 100% sure how the octopus is prepared, although I believe that it is first pickled in a lovely, tangy marinade- to make it gloriously tender – and is then grilled on a hot plate just before serving to add some lovely, sticky charred edges. The side of Greek Salad is tender and delicate, with a lovely sweet and tangy vingertte dressing. Combined with the Pickled Octopus it is lip smackingly good. 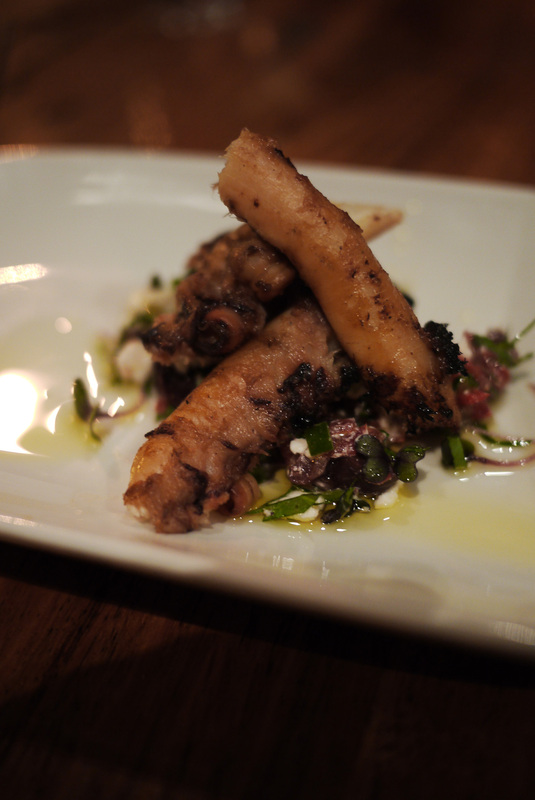 The Pickled Octopus was matched with another Kooyong Estate wine, this time a Chardonnay. The Chardonay was pretty mild by traditional Chardonnay standards. It definitely did not have a particularly strong, oak-ed flavour. I found the wine very soft and gentle, with almost an almost creamy or buttery after taste. The fourth course was a house made Pork, Beef and Roast Garlic Sausage, served with potato aioli and artichoke & mushroom dressing. The Sausage was plump, juicy and packed full of flavour. The quality of the meat used definetly is definetly reflected in the taste of the final product. The Sausage was served with a very quaffable Pinot Noir. Unfortunately by this point in the night, my memory starts to get a bit hazy as far as the vineyard details and tasting notes go. You will just have to trust me that it was good. 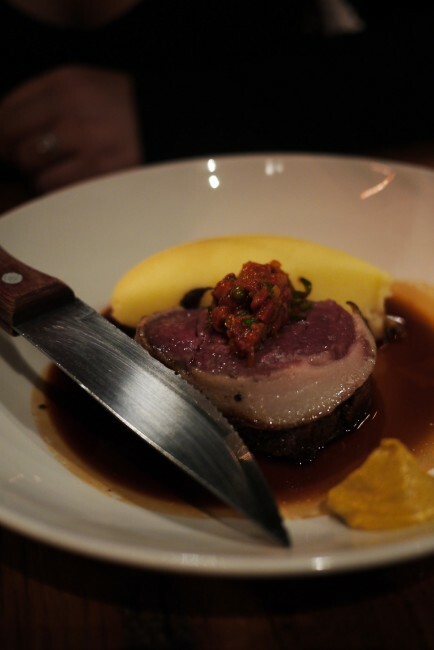 The fifth (Steak) course was definetly the main event of the night – an aged eye fillet, cooked in the style of a traditional French Filet Mignon – that is, wrapped in pancetta and perfectly rare. You can pick from the following selection of condiments to go with the Steak - hot English mustard, Dijon mustard, seeded mustard or a spicy tomato relish. Predictably, I went for the hot English mustard and can vouch for its heat (completely clears out the nose if you accidentally put too much on the knife). A small amount definitely goes along way and really enhances the flavour of the Steak. The Steak comes served with a side of the most creamy and indulgent mashed potatoes, which must have been at least 50% butter and cream (calories don’t count on your birthday right?). The Steak was served with a punchy Cabernet Sauvignon. Again, by this point in the night precise details and tasting notes escaped my attention. 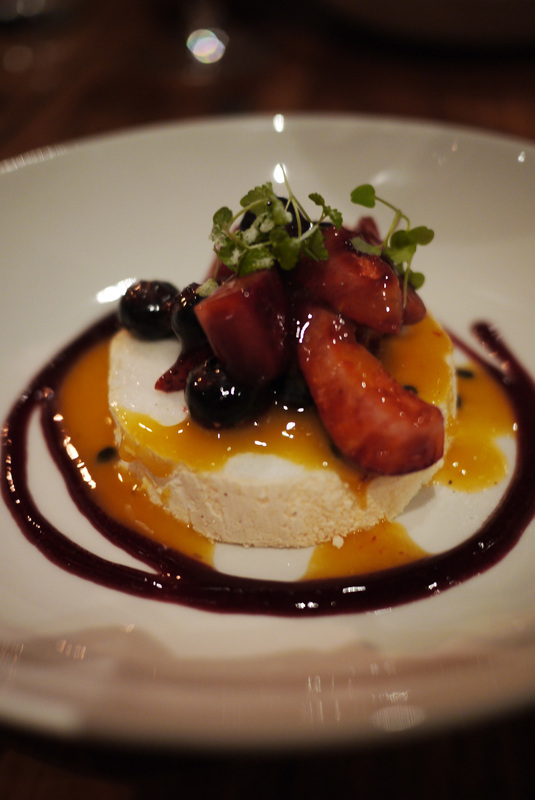 Dessert was Pavlova, filled with vanilla mascarpone and topped with fresh berries and passionfruit. It was seriously sweet. I think thisPavlova is a really clever dessert course, because although it is seriously decadent, it is so light and fluffy, thay you can almost convince yourself that you are really only eating air (which just happens to be stuffed with creamy mascarpone). The Pavlova is served with a dessert glass of Riesling. The Rieslingwas young and crisp, definitely not overly sweet, thereby allowing the sweetness of the dessert to shine through. 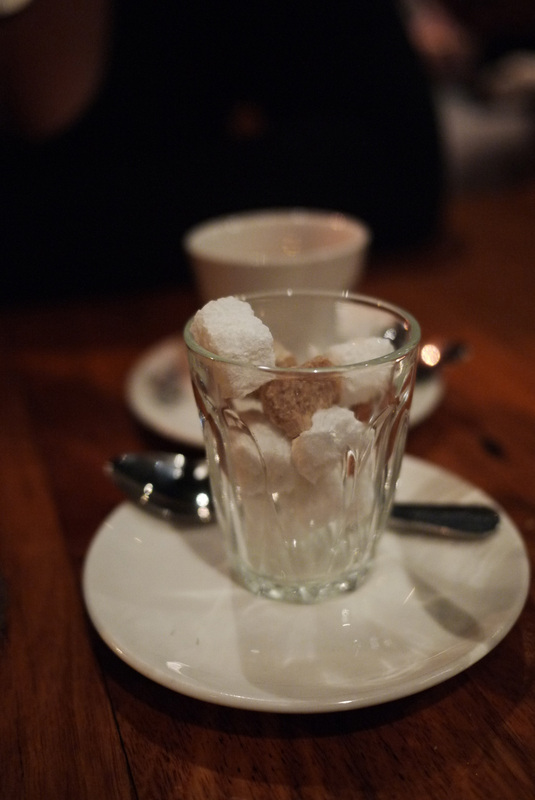 After consuming our body weight in food and drink, a post dinner espresso was essential to give us the energy to walk home. Overall, I absolutely loved the whole night – the food, the wine and, of course, the company. Perfect for a special occasion meal for the food lover in your life. Thanks for a great review. We’ve never been to La Luna Bistro.. but I’m very curious now! Maria: I highly recommend heading over for a special occasion meal soon. My degustation birthday dinner has definitely been one of my food highlights of the year so far!